Hello again, dear Readers! As I had alluded in my first submission, I really had more than one idea for my picture. (How come we get so thrilled when one of ours is chosen? Well, I do, anyway!) This was my original idea but then the other one came in and bullied its way in. This one refused to be silenced so this week you get a Two-fer from me! Rules and regs here. More stories. Frog. The warm night breeze caressed her cheek as she meandered along the resort’s winding pathways. What a beautiful evening in this Caribbean paradise. The scent of flowers teased her nostrils and the distant music tickled her ears. She smiled and nodded to those passing her by; mostly couples, some small groups enjoying spring break and a family or two. None seemed to be, like her, alone. Truth was, she was not alone. She had left her friend behind in the room, watching TV. Looking up at the full moon, she wished she could hold the hand of her true love. This entry was posted in Friday Fictioneers, Love and tagged Alone, Lonely, Punta Cana. Bookmark the permalink. I suspect she’ll find the right one…again. Lovely piece of writing, my dear. Nicely written. I hope she finds her true love and leaves that jerk to his TV. I’m sure she Will, eventually! Hopefully she will find someone who loves the same TV shows and shares a remote. I also did a ‘two-fer’ this week. A different take. Great write. Sigh!!! I can feel her passionate longing. The loneliness even when we are not alone is the worst kind , I believe . May her wishes come true ! A moonlit sky is so beautiful, but because it’s so often equated with romance, it does have a tendency to accentuate loneliness for those who have no romance in their lives, or are parted from their beloved for one reason or another. I couldn’t decide if it was the former or the latter in this story, so it made me want to know more. It is indeed. And sometimes it just allows one’s mind to meandre down memory lane. I take back my comment on your first story because this might be the perfect story. So many feelings here and the mood and the longing are, I think universal feelings (needs). And it had a beautiful ending. Awww… thank you, Michael! So very pleased you enjoyed it. Beautiful. Your second piece makes the moon look romantic. Interesting how different words can change my perspective. So very glad it does. 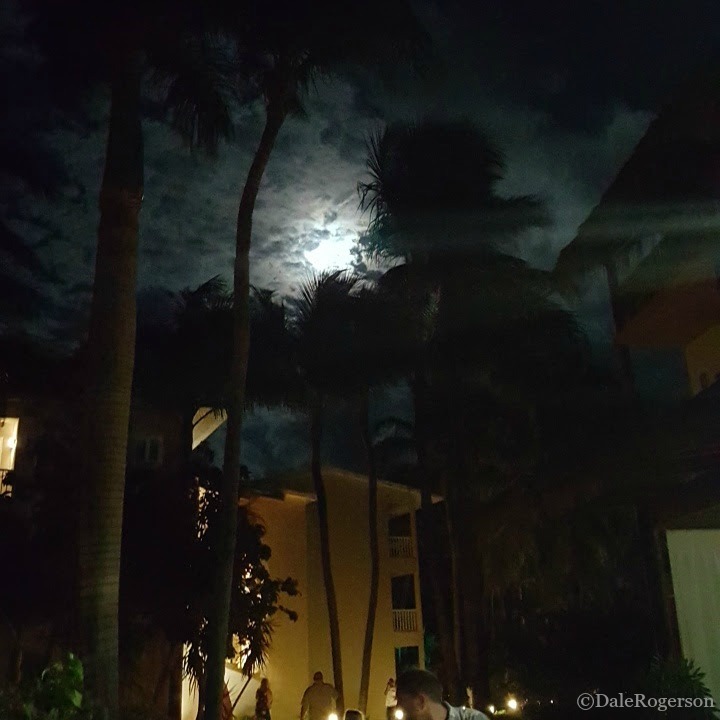 There were enough horror/scary moon stories this week…😉 And that’s the fun with Friday Fictioneers, so many different ideas come from one photo! Such a touching story. I hope she finds that special someone to enjoy the moonlight with. When a story has to be told – I have so enjoyed the varying responses to the prompt picture. All the more because I really struggled to come up with one. Yes. That is the joy from FF…so many variations on one picture. Great imaginations out there! This was a very atmospheric story Dale. Yeah. It’s sad to have a nice experience like that and not have someone really special to enjoy it with. Reminded me of when I was 19 and on college choir tour in San Juan, Puerto Rico. Something similar. Maybe it was just one moment of sadness and the rest was wonderful! Maybe she’ll meet him on her walk.